Glenn Howard Farmer, 81, passed away at home surrounded by family and friends. Mr. Farmer was born July 4, 1937 to Mildred Revette Farmer and Herbert Bufkin “Buck” Farmer. 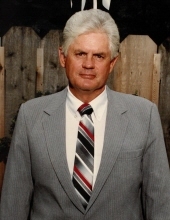 Mr. Farmer was a member of Seminary Baptist Church and loved to fish and hunt. He worked in the oil industry his entire life and retired in 1984 as an offshore oil manager in Dubai Arabia. He married Mary Shepherd on Christmas day in 1957 and resided in Runnelstown and then in Richton. He was preceded in death by his parents and six sisters, Lucille Farmer, Marie “Crikett” Anderson, Retta Wilson, Juel Miller, Edith Strickland and Mary Lee Wiggers. Glenn leaves behind his wife of 61 years, a daughter, Shelia Ann (Mitchell) Hinton; a son, Jackie Howard Farmer of Richton; brother-in-law and sister-in-law, Carl Shepherd and Kathleen Shepherd of Runnelstown; two brothers, Earnest (Helen) Farmer and James (Fran) Farmer of Florida and a number of nieces and nephews. Visitation will be Tuesday, February 12, 2019 from 5 – 8 p.m. at Moore Funeral Home in Petal. Services will be Wednesday, February 13, 2019 at 10 a.m. at Moore Funeral Home in Petal followed by burial in Seminary Baptist Church cemetery in Hintonville, MS.
To send flowers or a remembrance gift to the family of Glenn Howard Farmer, please visit our Tribute Store. "Email Address" would like to share the life celebration of Glenn Howard Farmer. Click on the "link" to go to share a favorite memory or leave a condolence message for the family.